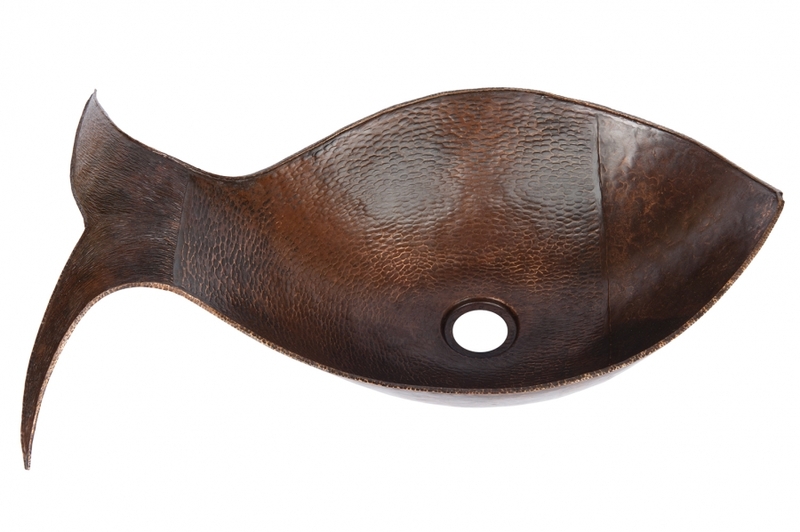 Dimensions: 20.5" X 13.5" X 6.75"
Created to look like a fish, this sink vessel basin would make a great choice to add both style and functionality to the home. 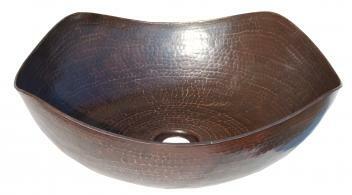 The piece is hand hammered out of copper material that is heavy duty and will hold up well through use. The bowl itself is almost 7 inches in depth.